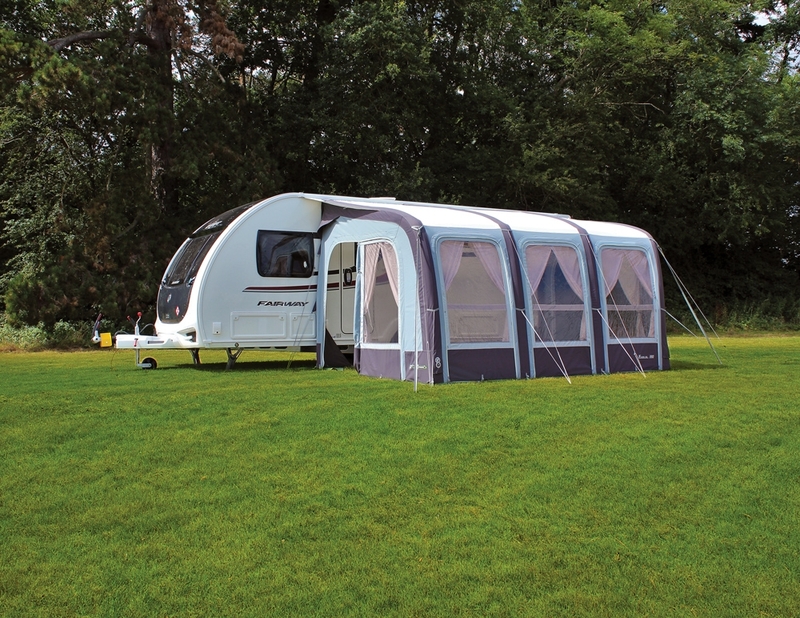 A firm favourite amongst caravanners holidaying in Europe; the breathable fast pitch ‘Evora 390 Pro Climate’ single inflation point caravan air awning is the preferred choice for mid-sized families who require additional living, sleeping or storage space alongside their vehicle, due to its cavernous interior. 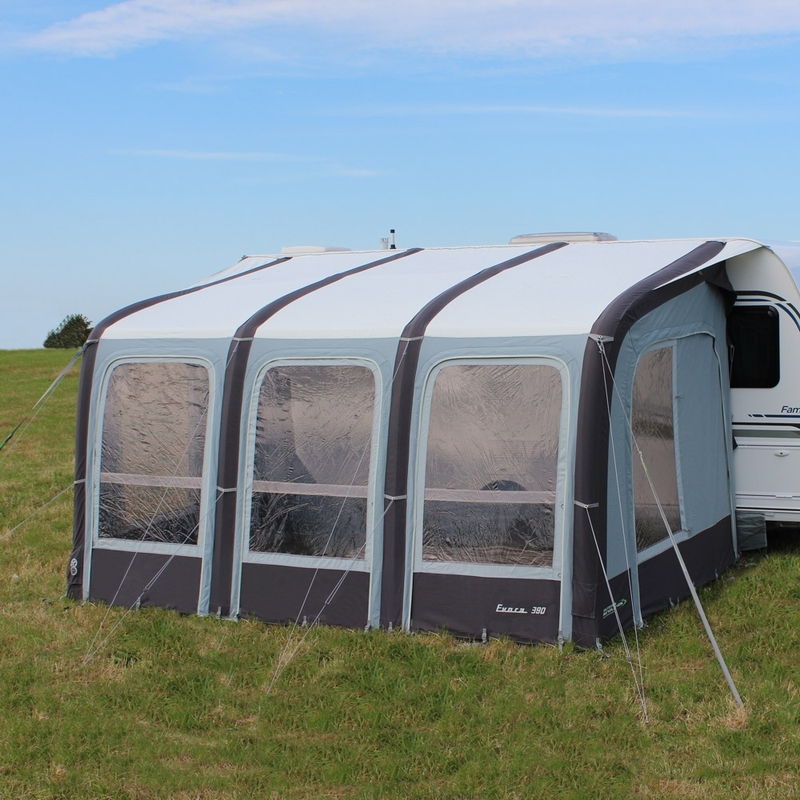 This model is designed especially for hotter climates and continental touring, aiding in reducing humidity, condensation and internal temperatures using our exclusive ‘Pro Climate’ fabric, whilst utilising mesh ventilation and fly screens to optimise air flow and prevent insects from entering. 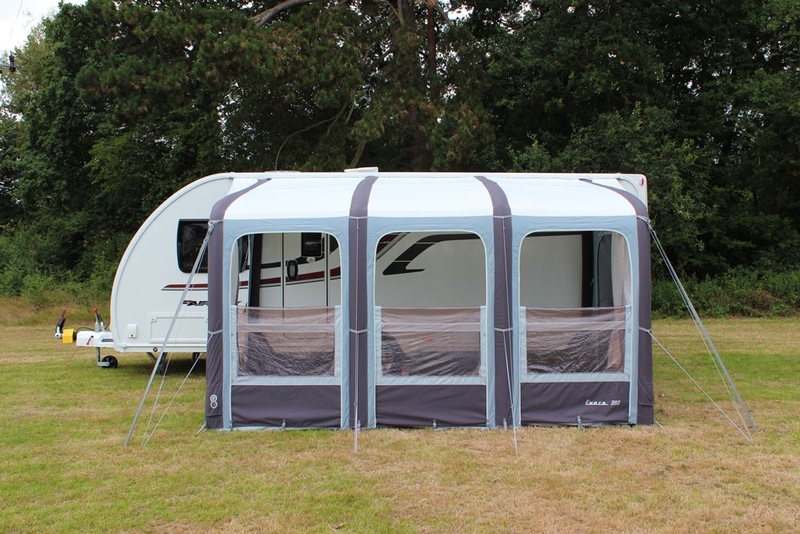 The awning enjoys a traditional feel, attributed by the stunning aesthetic, luxurious canvas feel and sliding curtains, while retaining the benefits of our signature lightweight awnings. The 280cm depth employed ensures eligibility with all ‘Camping & Caravan Club’ site pitches, in the UK and abroad. The three versatile front door panels can be zipped fully back, completely in, or folded down like a barn style door, enabling the awning to function as canopy throughout summer. 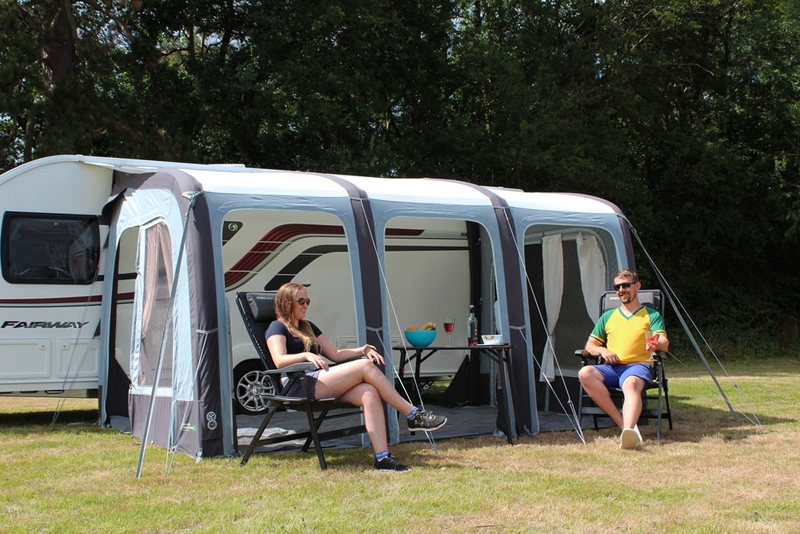 There is also a smaller variation available (see ‘Evora 260 Pro Climate’ and an optional zip-on two person annexe, which can be zipped to either side of the awning to extend usable sleeping space. Are you looking for the Evora 390 Pro Climate? 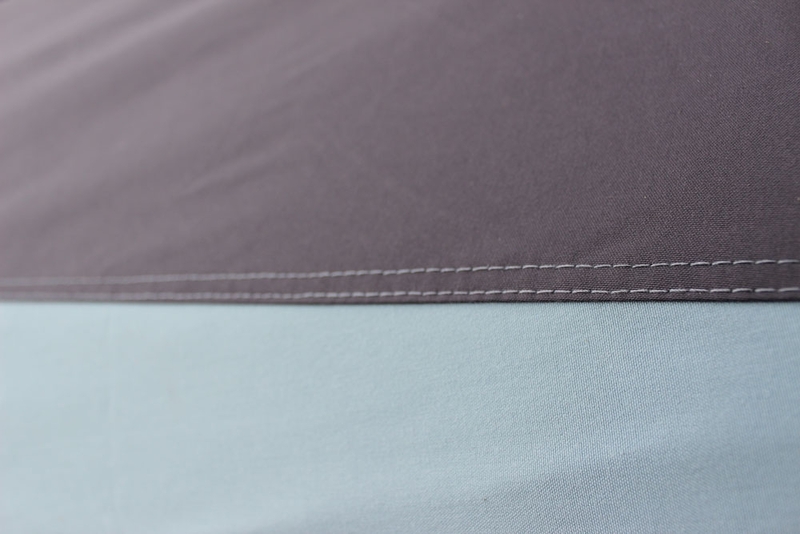 We’ve incorporated years of learning to bring you our exclusive 100% man made ‘Pro Climate’ high performance fibre fabric, specifically engineered for increased breathability and use in warmer or colder climates; marrying the water repellence and technical construction of polyester, the comfort and feel of natural fibres, as well as the breathability of polycotton in this intricate weave. The ‘Pro Climate’ fabric possesses a fantastic hydrostatic head rating of 6,000mm² and is unrivalled in terms of durability, strength and fade resistance. The canvas and workmanship hold a 12 Month Warranty against any manufacturing faults. Panoramic tinted anti-glare window panels offer an exceptional vista of the surrounding environment and protects against harmful UV rays, whilst increasing privacy and creating a more relaxing atmosphere. These are accompanied by traditional white sliding curtains, which can be completely opened to illuminate the awning during the day, or drawn fully closed for maximum privacy on an evening. The addition of twin piping (6mm x 4mm) permits compatibility with both caravans and motorhomes within the corresponding height range. The side doors incorporate a breathable Phoenix Mesh panel to improve air circulation and keep insects at bay in summer; an assisted healing ‘smart’ material with the structurally incorporated ability to repair ‘snag’ damage, typically caused by consistent usage. Simply manipulated, the mesh will return to its original form. These side doors can be zipped completely out, allowing attachment of the optional annexe. 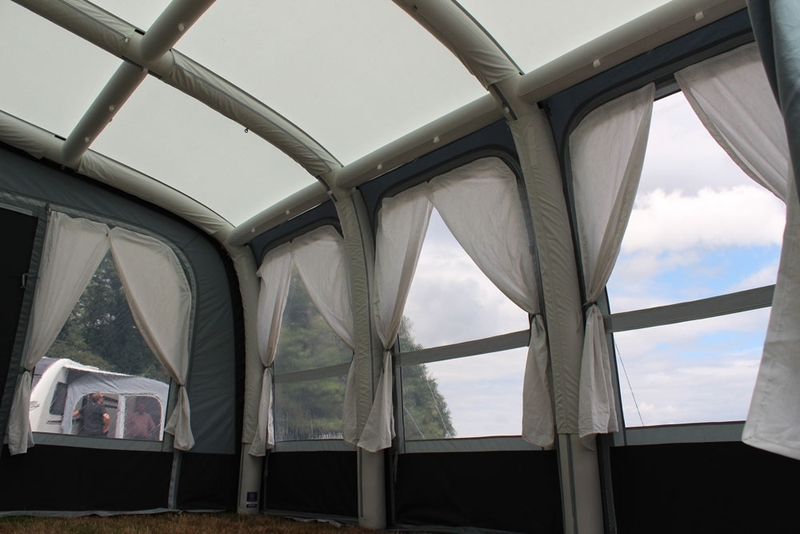 This awning utilises a polyester draught skirt and mud wall to trap heat, plus comes complete with a dual action hand pump, adjustable tensioning/fixing straps, steel ground pegs, reflective guylines, a convenient repair kit and Velcro attachment points for our ‘Lumi-Link’ awning lighting system. 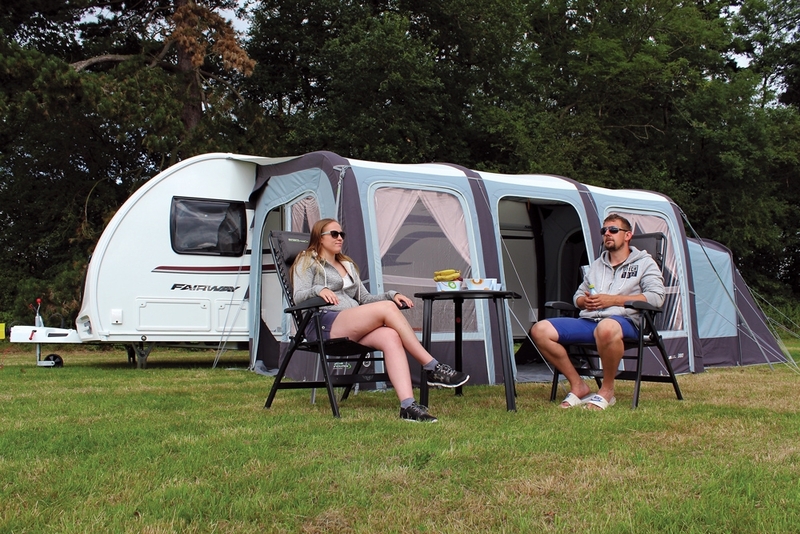 An array of optional extras are available for purchase with the Evora range, including an ambidextrous two berth inflatable sleeping annexe, a clip-in two person inner tent, breathable groundsheet, waterproof roof liner and rear pad poles. Evora 260 Pro Climate – A 2.6m Wide Variation, Best Suited to a Couple or Individual. Evora 390 Pro Climate – A 3.9m Wide Variation, Designed for Mid-Sized Families Craving More Space.